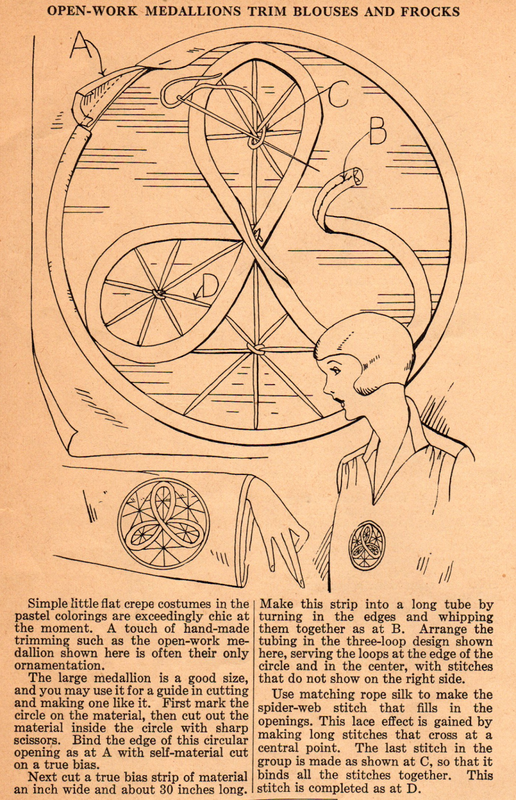 I am way overdue for another post from Ruth Wyeth Spears and her wonderful tips for home sewists in the 1920s! So here is one for adding a home-made yet dramatic accent that is perfect for blouses and frocks. As described by Ruth, this is designed as an open-work motif. Whether you make it open-work or add a contrast fabric as a background, you'll have an eye-catching accent! Love the idea to set it into the sleeve, this looks quite unusual. Thank you so much for this scan. This is a great, easy to understand tutorial! I want to try it!